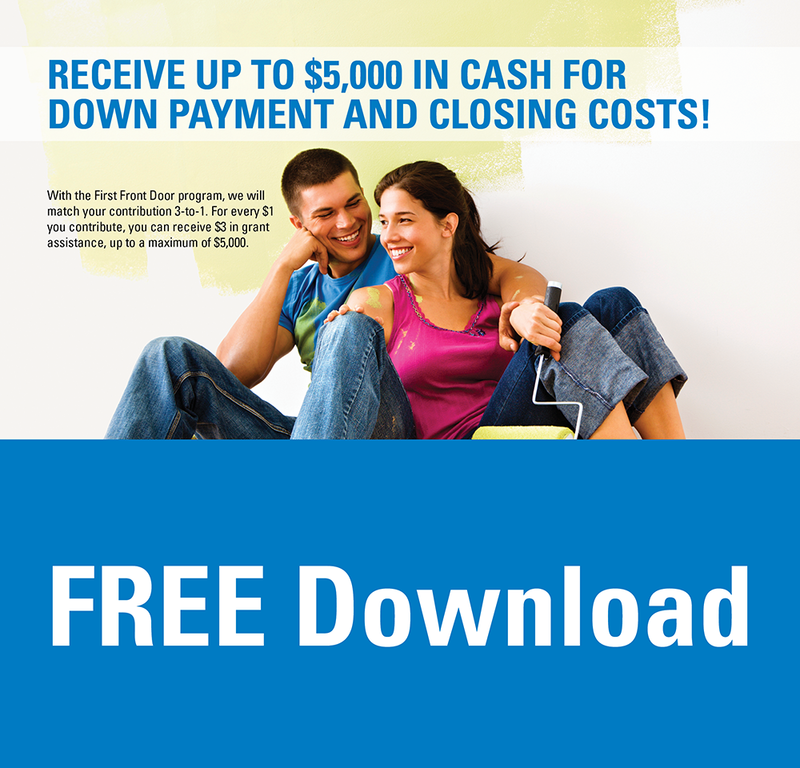 Receive up to $5,000 in cash for down payment and closing costs! With the First Front Door program, we will match your contribution 3-to-1. For every $1 you contribute, you can receive $3 in grant assistance, up to a maximum of $5,000. All grants are provided by FHLBank Pittsburgh through a network of lenders like NexTier Bank. First Front Door funds are available on a first-come, first-served basis.